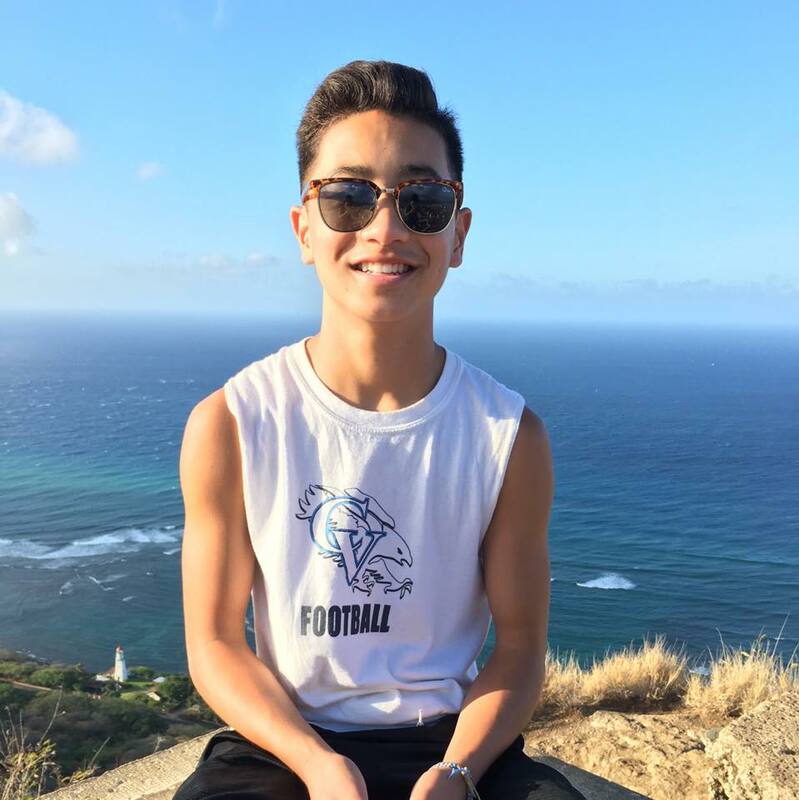 UPDATE, JAN. 15, 10:45 A.M.: A GoFundMe campaign to offset funeral expenses for the family of Noah Domingo raised $9,782 toward its $10,000 goal in just 12 hours. Click here if you’d like to help meet or exceed the goal. 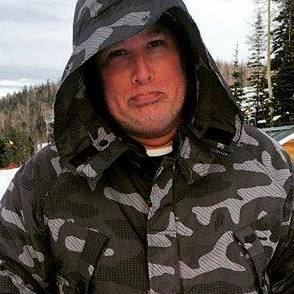 “The family was so grateful that his last days were about cherished time spent with family and friends for the holidays before returning to school,” reads part of the crowdfunding pitch from Tammy Robertson, on behalf of the Domingo family. All proceeds have been certified to go Dale Domingo, the father of the deceased UCI freshman. 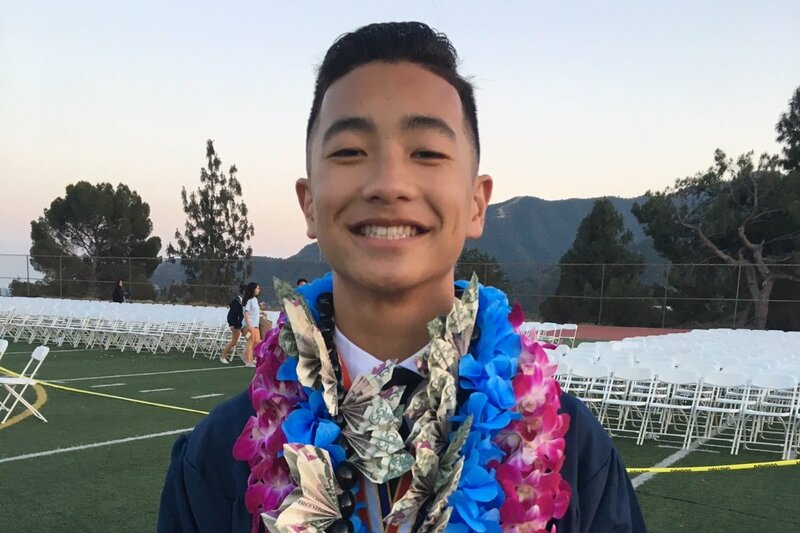 ORIGINAL POST, JAN. 14, 1:25 P.M.: A UC Irvine fraternity has been placed on interim suspension while police investigate an 18-year-old freshman’s death in an off-campus home Saturday morning. The county coroner is conducting an autopsy and awaiting toxicology reports to determine how Noah Domingo died, according to the sheriff’s department. The university and Sigma Alpha Epsilon, which has been ordered to suspend all activity, say they are cooperating in the Irvine Police Department investigation into the death on Turtle Rock Drive. 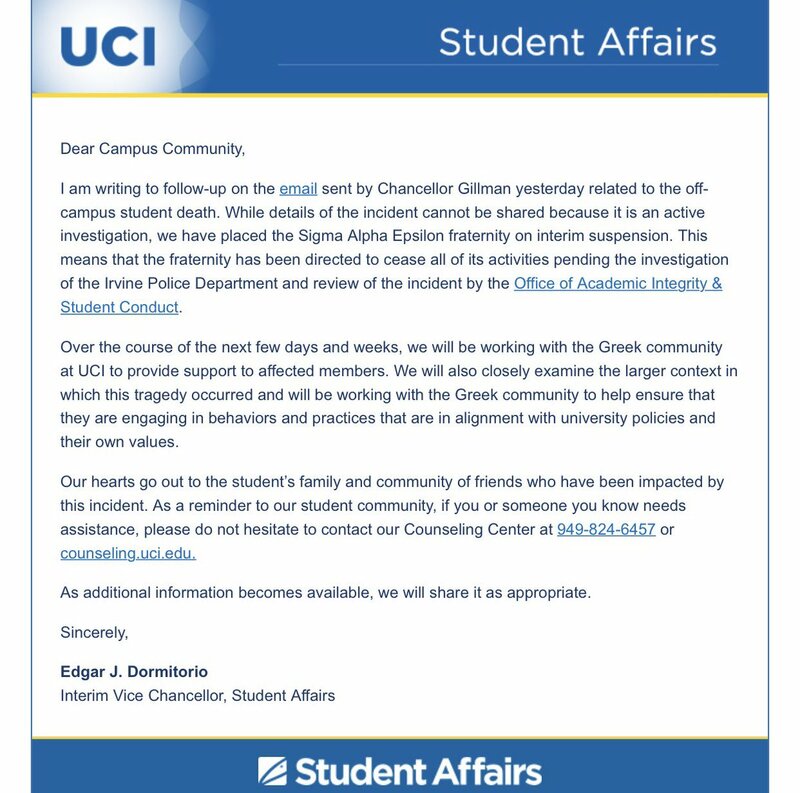 Edgar J. Dormitorio, interim vice chancellor of Student Affairs, issued this statement to the UCI community today. Domingo, who graduated in the spring from Crescenta Valley High School in La Crescenta, where he played football and basketball, followed his 20-year-old sister Brianna to UCI, where he majored in biology and dreamed of becoming involved in sports medicine for a basketball team. Brianna Domingo told the Times that her brother spent the past week balancing intense studying with Sigma Alpha Epsilon’s winter rush week, which concluded with an event Friday.